Inter-Lights Inc. brings traffic solutions to a whole new plateau of solutionizing. From day one, we make everything clear...as clear as your windshield. You use our services and we send you itemised billing. With Inter-Lights Inc., we know our place: we change traffic lights and you keep wiring us your money. That's the Inter-Lights commitment. When you reach our intersections, we want you to have the perfect traffic light experience so that you will return as a faithful customer, secondarily, we also work to keep you safe. We take care of your intersection crossing needs so you can sleep easy each night, in a bed rather than a twisted pile of fuselage. We are your guardian angels, only, for a small fee. A little Inter-Lights magic twinkles every time you drive through our safe traffic lighting systems solution, at prices that make expensive and dangerous traffic light experiences, a memory of the dark and scary past. What makes Inter-lights Inc so amazing? ↑ According to a private study conducted by Private-Lights Inc. Research Unlimited. What makes us so dependable? It's the fact that we are dependable. No one could say we aren't dependable and not be lying. We are your partner in crime. Our crime is to challenge the status quo of traffic lighting amazingness. This is what we offer you, dependable crime fighting, and in return, we only ask for one thing: reliable bill payments on the first of every month. ↑ Inter-Lights does not condone nor condemn crime as is not responsible for any accidents due to malicious tampering of traffic equipment by any party including our employees nor accidents cause by police chases or hijacked aeroplanes crashing into traffic intersections. No other company could be your invisible side-kick like us. Our computers keep watch when you make u-turns, to ensure you don't collide with other cars. Be you on the road or sending us a cheque, we are the caring traffic light service company and the highest most maximally reliable business entity in the business of caring for one's customers. When you u-turn, we are there to get you moving in the opposite direction of where you were coming from. If you still don't get how much we care about you, then we will keep fighting for your trust. Our automated systems really do care, every megabyte of info and every sub processor, and so do we, Inter-lights Inc. cares about you a whole whole lot. Are you a physically challenged driver who cannot change gears quickly? Consider applying for our intersection insurance. We offer large pay outs to your family if you decease due to TAW (total automobile wreckage) or side impacts. Burn to death while trapped in your car and your family could gain $15,000 in ten yearly instalments of $1,500 minus a modest 45% deductible. You probably drive to work or drive out to the store to get milk. Maybe you are temporarily living in your car, Interlights Inc will make your local intersection your new home, one billing cycle at a time. We are more than just algorithms and light filaments, we are Inter-Lights Incorporated, and that really means something. ↑ Family must prove beyond any doubt that their family member died due to skin burns rather than the car accident. Body must be identifiable and certified by twenty-two medical professionals as well as our own in house insurance consultant professional who may or may not be a registered doctor. 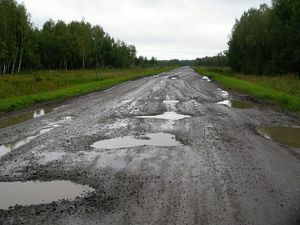 Has your community privatised its roads and streets yet? If yes then you know our state-of-the-art driving platforms instead of dismal public art-of-the-state death asphalt. Get your community to contract with our services and we will credit your account with five dollars which cannot be used in conjunction with any other service we provide. If you are the member of a city council and if you help us gain a traffic lighting tender with your city, we will credit your account with $2,500 dollars which can be used in conjunction with any other service we provide. That's the kind of limited registered incorporated private entity conglomerate you can depend on. We care about you that much. 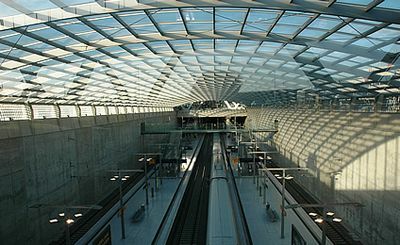 Now that Inter-Lights Inc. makes driving simple and easy train stations are being abandoned nation wide to make personal transport a far more viable option. 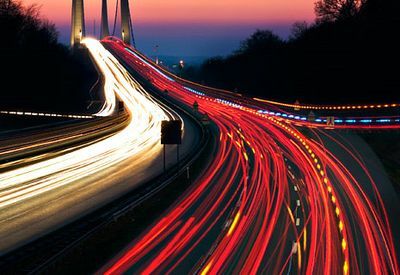 We stand committed to providing traffic lighting excellence 304 days a year  And we do it with excellence and commitment. With high cost externalisation and global synergistic synergy our intersection prices stay well below the competitors'. It's mostly guaranteed. ↑ "Due to agressive union actions, we cannot oblige employees to work Sundays, nor Christmas, not even Easter Sunday." ↑ Our prices are so constantly below our competitors', find any intersection that is more below and we will send you a letter thanking you for your comment and wishing you a wonderful day. All traffic is priced at 2.5 cents (rounded up). Through traffic is charged at 3.1 cents (rounded up to an even 4 cents). Right turns are charged at 3.4 cents (rounded up to an even 4 cents) and left turns charged at 3.6 cents (rounded up to an even 5 cents). ↑ calls cost 55 cents a minute plus applicable long distance charges. Calls are half price on the first Saturday of each year. ↑ For multiple road intersection pricing tables, please refer to p.822 of Volume XII of our users terms and agreements. 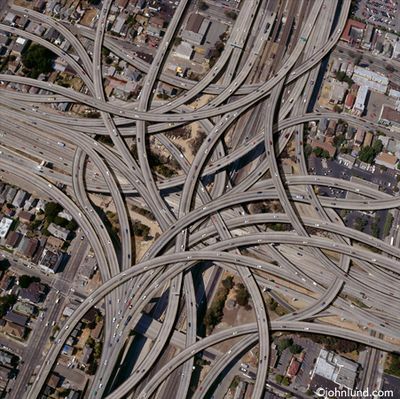 Traffic intersections such as these plague the nation with absurd highway crossings without traffic lighting solutions. Call your local mayor and ask him to switch to Inter-Lights Inc. today. ↑ Complex intersections not included, monthly intersection crossings are limited to 25 crossings per car, crossings do not accumulate yearly, unused intersection crossing do not roll over to the following month and are considered unused. 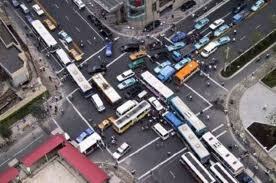 Owners are charged a surplus of five cents for each unused crossing (out of 100 basic intersection quota) per month. All prices are triple the published rate for residents of AL,AR,DL,FL,GA,NC,ND,SC,SD,TX,UT,WA. Canadian and Mexican prices are set by local government regulation updated after each 10 year census) and cannot be discounted for any reason. Members of AAA receive a discount of 0.05% per year based on a minimum annual billing of $2,500. ↑ Set up fee ranges from $2.99 to $129.99 depending on state residence. Taxes not included. Family silver can only be subscribed by customers who have used Inter-Lights traffic lighting solutions services for 48 consecutive months without any late bill payments. Offer is not available to taxi drivers, private investigators or paparazzi. No limits for using our traffic lights and partner traffic lights at the rate of $59.99 per month in most cities and may be combined with our 10 for 9 offer. ↑ use of partner traffic lights only apply if you have a platinum traffic membership card, rates likely to change without warning each 24 hour period. ↑ Register ten household vehicles and pay the price for nine. ↑ Not applicable in Wichita, Boulder Colorado or the Island of Honolulu. Offer may not be available due to computer error. At Inter-Lights Inc. we make intersection experiences hassle free and easy to use. We put our customers first and the customers of other companies last. Our user friendly intersection signalling solutions network is what makes us the number one solutions making people in the business of finding solutions. When you get to one of our intersection at the same time as a client of one of our competitors', we will make sure that you get a green light first, and we will do our best to make our competitor's client wait as long as possible. After all, that's how family treats family. ↑ Employees of other traffic lighting solutions organizations may not enroll in any of our packages and may not use our intersections. Do you offer the best service in private traffic lighting solutions? 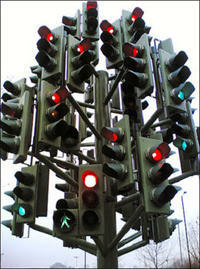 We hold ourselves to a standard that defines the standard of traffic light excelence. You gain a real commitment from us once you click on the accept terms and conditions box. Our cameras will take a picture of your car, passengers and license plates and send you a bill to your registered address. What if I don't want to use your traffic lights? Our partner Inter-driving platforms solutions offers the best in dependable private vehicle surfaces for your transport needs. As in any free-market-society, all drivers may decide whatever route they wish and might avoid our intersections if they choose to go ahead with that option for whatever reason. But I must pass at least five traffic lights in all possible itineraries from my home to work. Inter-Lights Inc. is not responsible for the zoning of your town. Please contact your local counsilors for information. What is the future of private traffic lighting solutions? Inter-Lights is the future. We are always coming up with new ways to make intersections better for everyone so that you don't have to. Preferential green lighting. Using a smart phone app, our Platinum members will never wait more than five seconds at an intersection. Can't afford Gold membership? Until you can, you might use our new experimental voting system that gives drivers control (instead of impersonal sensors and algorithms) over their intersections. Using a special device and a low fee of $6.99 per use, drivers can change their light from red to green. Low on cash? Charge cards maxed out? Apply for the Inter-Lights Inc. credit card today and start saving. We offer a APR of 17.3% for the first week of use. That's a savings of one entire decimal points compared to other traffic lighting solutions company credit cards opportunities. At Inter-Lights Inc. we are experimenting with driver voting systems to make intersection crossing streamlined and less complicated. While that is unlikely, you are free to call our customer support service any time of the day between 3:00pm and 3:30pm. ↑ Owners of stolen cars are responsible for any intersections crossed during the theft of vehicle until the car is returned to said owner unless car theft intersection crossing insurance is secured by customer at a rate of $79.99 per year with a $750 deductible. Are you interested in working for one of America's most recognised solutions company in America? Can you type or write down numbers or words? Are you passionate about traffic intersections? If you answered yes or maybe to any of these questions then perhaps you might be the enthusiastic traffic lights solution administrative staff member for Inter-Lights Inc. We offer monthly a salary, all Sundays and most holidays off with a free one week unpaid vacation and the opportunity to make a position at Inter-Lights Inc. your career. Inter-Lights Inc. is a member of the Inter-MegaCorp. limited private equity options merger foundation. All rights reserved. All the above information is subject to change at any time without notice. Private lighting billing in Colorado and Iowa is deducted from all pay checks. Any equipment failure is the liability of our outsourcing partner Bengali Lighting Corp. and is not the responsibility of Inter-Lights Inc. Inter-Lights Inc. publishes tarrifs both on printed advertisements, on-line adds and on its website. If two different sources publish two different rates, the highest rate is the one applicable. Veterans are given free Intersection usage on Veteran's day (only applied if Veteran is driving in their own registered car). Inter-Lights Inc. is registered as a indemnised constituancy in the Cayman Islands and is subject to local laws and corporate tax rates. Inter-Lights Inc is officially registered as "Inter-Lights Inc." Any other company acting as "Inter-Lights Inc". is not "Inter-Lights Inc." and should be treated as so. Section II: The following is the previous text in extra small fine print for clients who prefer fine print text in an extra small font. The publishing of this material in any other form, including written and online content is expressly forbidden. All rights reserved, no text or images may be copied to any website nor communal wiki. Any party guilty of publishing this material or reading this material in any copied and or illegal form without informing the authoritis can and will be issued with litigation. All rights reserved.